This is something that I seemed to have missed this summer, and wow how I wish I hadn't missed it. This was the album released by Tanlines, called Mixed Emotions. It was, from what I've read, a quite wonderful album that was (or is), to use that old adage, all killer and no filler. Will be playing catch up with that one. 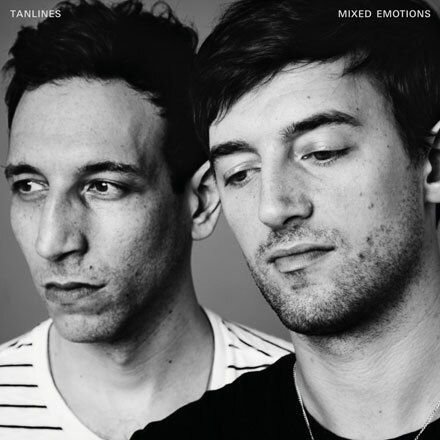 However, Tanlines have released three songs from the album so far that have been turned into videos. This one, 'Not The Same', is the third. It's a collage of different sounds that really works quite fantastically and, after the fifth or sixth listen this time alone, truly shows no sign of letting up in its sheer addictiveness. Beginning with some throwback stabs of a naked piano, aping the many a house song's rhythm, it goes on to include live 4x4 drumming that features cymbal crashes, delicious percussion, as well as the layering of synth to make that original melody one that turns pretty electronic pretty quickly. The vocal melody is something that's so madly familiar that its not hard to think, "Have I heard this before?" - that's before you realise, "No, I've actually heard nothing like this before." It's this collage of sounds, from that familiar vocal melody (even the voice itself sounds a teensy bit like the guy's from TV On The Radio), to that can't-go-wrong house rhythm on the piano and synth, the amalgamation of live, acoustic sounds with a heart entrenched in dance sensibilities, that give it the plain status of an instant hit. It's bricolage at its very best - even the video, with the additions of various instruments and people, illustrates the hotch potch of influences present in this glorious song. Listen, listen... and listen again. And if you like it enough, you can buy the album Mixed Emotions here.